Happy Sunday! I recently gave myself a treat yo self day (we all need one, Donna and Tom had it right) and wanted to share the experience I had of my first EVER facial! I know, I know, I feel like whenever I say that people are like "WHAT?!?!" I just never had one! I'm not terrible to my skin but I know I could do more, so I wanted to check out what a facial was all about! I was looking around at places near where I live, but didn't really know what I was looking for in terms of what the service would provide. When consulting a friend about what to look for in a facial, she told me about how she does extraction facials, which while do wonders for your skin, can be a bit painful at first! The day before my treat yo self day, I got a message from Selwa at Origin Spa and Salon in Redmond, WA, asking if I would be interested in trying out and reviewing a facial treatment! It was meant to be! I booked my appointment for the very next day. Upon arrival at the salon I was greeted by Selwa herself who immediately introduced herself and asked if I wanted some tea (it was sooooo yummy!). She introduced me to Carly, who would be my esthetician for my sensitive skin facial. Carly took me upstairs to a very calming sitting area, where we went over what I was expecting, what I was looking for in a facial, and where I tended to carry my tension and stress. I also alerted her to the fact that I am allergic to some commonly used ingredients in cosmetics, and she told me she was able to go through and make sure she was only using things that would be safe for my skin, which was so thorough! She then led me to one of the most zen looking rooms I have ever seen, and once I put on the robe, we could get started. Naturally, I embarrassed myself and put the robe on completely wrong, newbie over here, ha! The very first thing she did was to give me a choice of a scent. I picked tangerine. It was so fresh and citrusy, perfect for summer! She cleansed my skin, exfoliated, put on serum and moisturizer as well as a hydrating masque (all products linked below!) and probably a few things I didn't even realize. All of these products were great for sensitive skin. I didn't have any irritation whatsoever afterward! This service included a scalp massage, and a hand/palm massage which I think was my absolute favorite, being at a desk 5 days a week! I had no idea all of this was part of a facial, but it was exactly what I needed after a stressful week at work. Carly was friendly, she truly listened to what you wanted from the experience, and made me glow by the end! 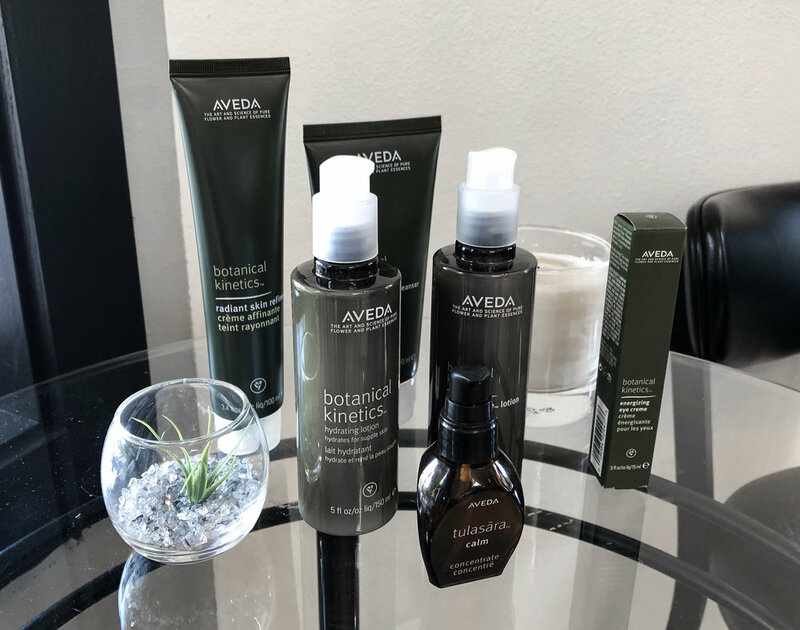 I truly enjoyed my first facial experience, and will be using the Aveda Radiant Skin Refiner once a week to keep my skin healthy! Thank you Origin Spa and Salon, for the best Treat Yo Self day yet! 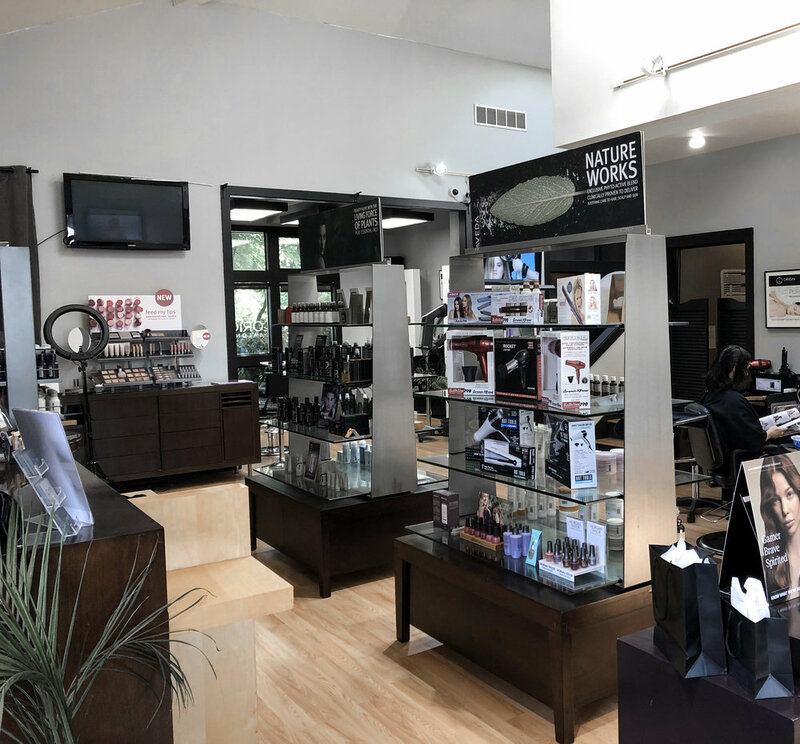 See below for some photos of the salon itself, as well as links to all the awesome products Carly used in my Sensitive Skin Facial!